Most people who visit the White Isle go home with at least one or two amazing Ibiza stories. Whether they be about epic clubbing nights, perfect beach days, exploring the beautiful Ibiza countryside, lazing on a boat or sampling traditional Ibiza cuisine, this little island is a treasure-trove of interesting tales to tell. But for some people, the influence of Ibiza goes way beyond a whole host of unforgettable memories. There are people the world over whose amazing Ibiza stories quite literally changed their lives forever. And we’ve been chatting to a few of them! Turns out, ladies and gents, that much like Shirley Valentine of the classic 1989 movie, coming on holiday, (in this case to Ibiza), delivered much more than some visitors bargained for. One word pretty much sums it up. Todd Kolod met his high school sweetheart, Barbe, at a hippy school in Ibiza in 1972. They had both arrived on the island for less than traditional reasons. Todd’s mother was on the run from the law and Barbe’s father had terminal cancer. At the time, he was given six months to live…but actually lived until 1998! Barbe ended the relationship with Todd in 1973 and they had no contact for 36 years. Then in 2009 Barbe managed to track down Todd, who was now living the USA, through Facebook and the spark was re-ignited! They commuted back and forth from Ibiza to the States and married in the US in 2012. They now live in a solar-paneled finca (country house) in Santa Gertrudis where Todd is committed to actively spreading his extensive knowledge, indeed passion, about electric vehicles and clean living in general to the rest of the island and beyond. Monika Laky’s life was about to change dramatically when she met a guy by the name of René on Talamanca beach one day. She was working the Ibiza summer season in the promotion and image team at Lio and he was on a boys’ holiday. An annual tradition ever since graduation. They fell in love and she moved to Austria with him where she finished her Master’s degree. Also during this time, Monika began to follow René’s example and discovered a love for cycling. Together they founded Ride4Women, a cancer awareness project which sees the couple cycling through Europe and talking about cancer prevention. Their first route was Austria – Ibiza in 2014. Regular visitors to the island that brought them together, Monika and Rene will be participating in the annual Vuelta Cicloturista, in October this year. But it is not only the young who fall in love in Ibiza! Gillian James was 49 when she met 64-year-old Ron whilst on holiday here 22 years ago. Ron was a widower who had been living in Cala Llonga for around 12 years. After a whirlwind romance, they married exactly 6 months to the day after they first met. They lived in the UK until Gillian retired then hot-footed it back to the island that had changed their lives as soon as they could! They have lived happily in Santa Eulalia for the last 11 years. 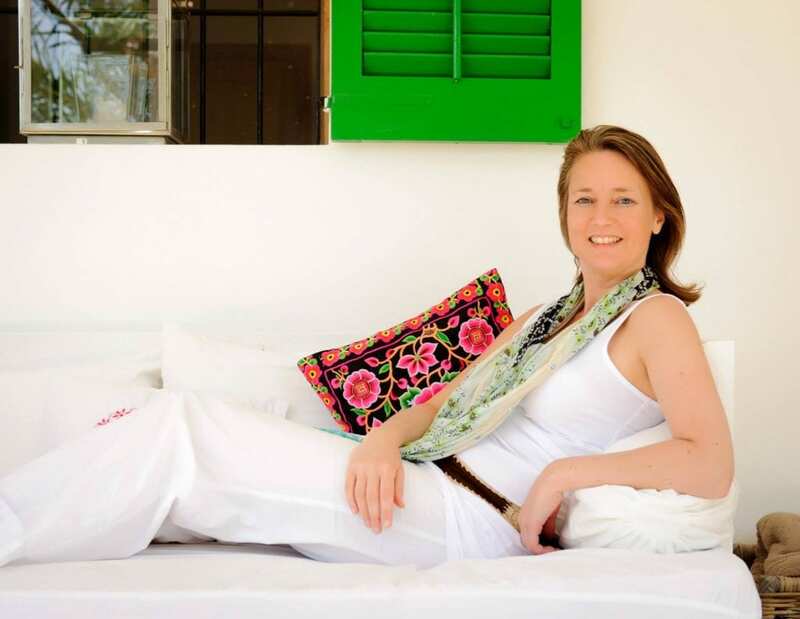 Cindy Ritmeester is a Relaxation Coach for Creatives who first visited Ibiza after reading an article in a Dutch lifestyle magazine about the creative side of the island. Working on pure intuition, and with no expectations or goals, she came over for her first stay a year later. And was instantly hooked. Since then, Cindy has developed a very successful business. She runs retreats and 1-on-1 coaching sessions right here on the island for creative professionals such as writers, stylists, chefs, musicians and DJs. Ibiza, says Cindy, was instrumental in her success story. 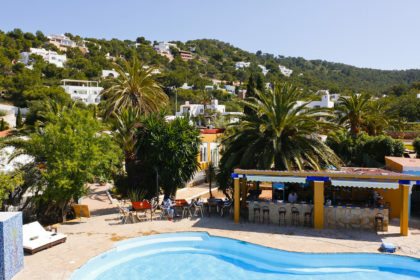 She’s such a regular visitor to Ibiza that she now considers the island her second home – a place where she can reconnect, recharge and relax with the many friends she has made here. Cindy was born in the Netherlands but relocated many times due to her father’s job. Despite her international background, for Cindy, there is no place like Ibiza! The island has taught her to think creatively and be open to the magic of life and synchronicities. 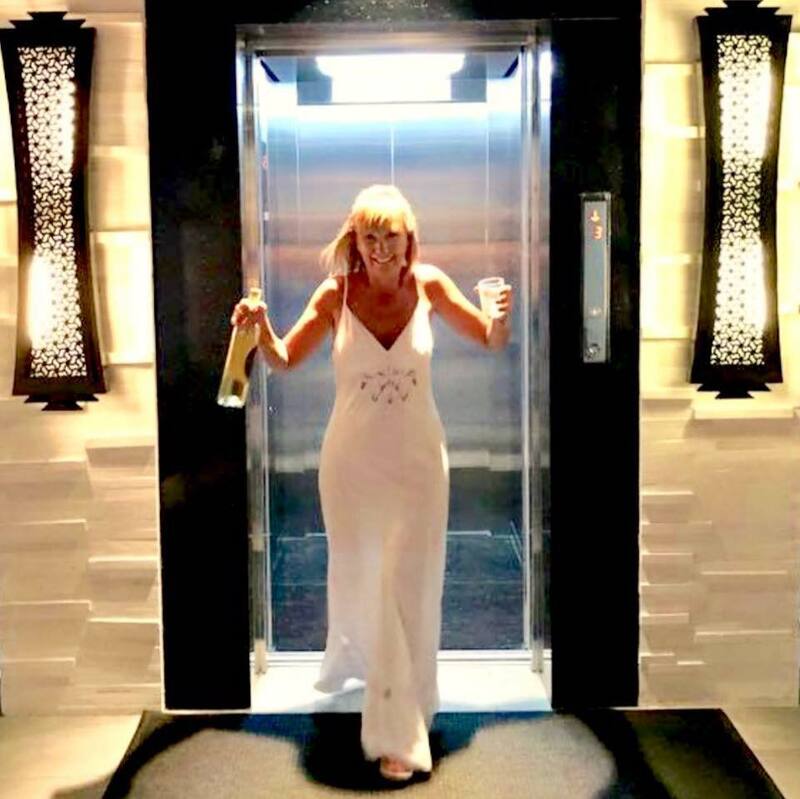 For Christine Shenton, Ibiza truly rescued her and turned her life around in ways she could not possibly have imagined. Working as a nurse in the UK, Christine suffered heartbreak when Paul, her partner of seven years, left her. This resulted in her making the life-changing decision to pack up and move to Ibiza where her two daughters were already living. In an unexpected turn of events, one year later, Paul made contact with the tragic news that he had terminal cancer. 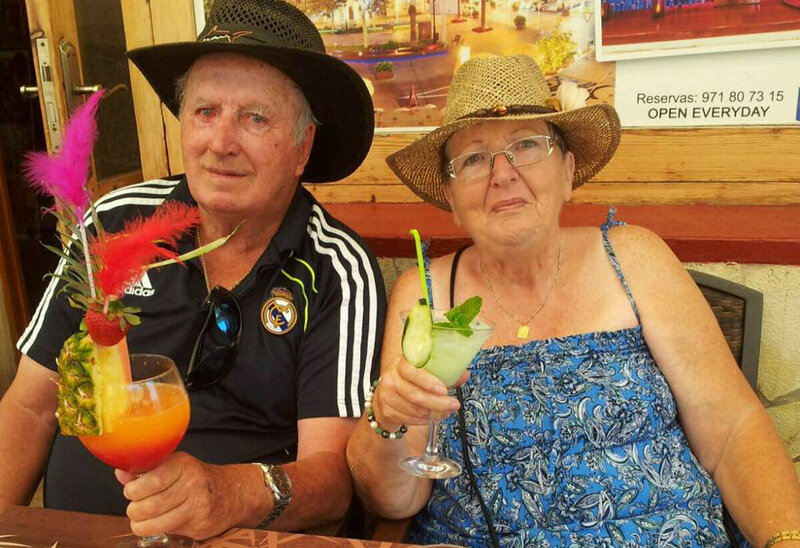 Given less 12 months to live, the couple got back together and had a romantic blessing by a Shaman at Hostal la Torre. Paul and Christine commuted back and forth to England for Paul’s chemotherapy but in addition, they were sourced some cannabis oil which kept Paul alive for another six years! Sadly Paul passed away two and half years ago. It was, of course, utterly devastating but Christine felt very strongly comforted by the energy of Ibiza. 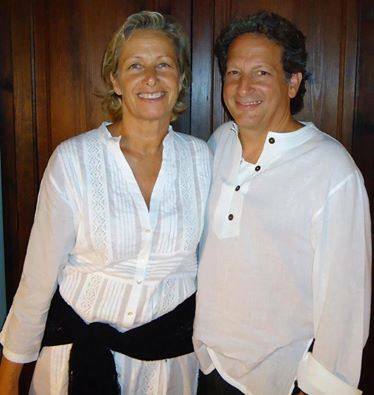 She also attributes well-known island resident, Trish Whelan and her Kundalini Yoga as major players in rescuing her from the intense grief that threatened to take her over. 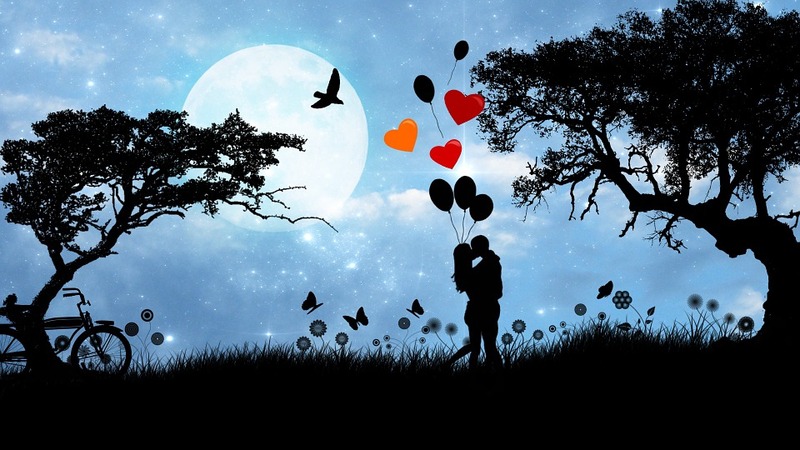 And for those of us who love a happy ending, Christine is now in a new relationship with a wonderfully supportive and loving man. So, there we have it. Tales of love, inspiration and new beginnings on the White Isle! Has Ibiza changed your life, too? Do you have an amazing Ibiza story to tell? If so, please get in touch. We’d love to hear from you!